government, administrative, and program activities. Central Council along with other Native groups has publicly expressed its opposition of Ordinance 2016-44, a proposed City and Borough of Juneau (CBJ) ordinance that would criminalize homeless citizens in an effort to prevent homeless people from sleeping in retail doorways and other spaces. Juneau's homeless population is the most impoverished residents and many suffer with physical, mental, and social illnesses. A letter was submitted on January 19th petitioning the CBJ Assembly to reject the proposed ordinance and instead consider a recommendation to the Alaska Mental Health Trust Authority that the proceeds from their pending sale of trust lands to the Develop Juneau Now LLC in downtown Juneau be dedicated to funding a camping site for those citizens who are not eligible to utilize existing shelters. 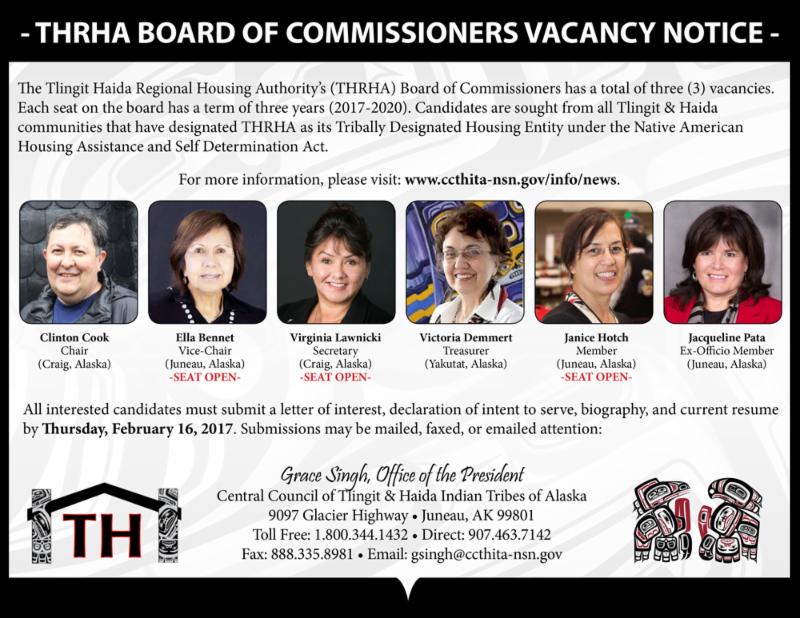 There are currently three (3) vacancies on the Tlingit Haida Regional Housing Authority (THRHA) Board of Commissioners. Interested candidates are sought from all Tlingit & Haida communities that have designated THRHA as their Tribally Designated Housing Entity under the Native American Housing Assistance and Self Determination Act (NAHASDA). If you wish to be considered, please submit a letter of interest, declaration of intent to serve, biography, and current resume by Thursday, February 16, 2017. President Peterson appointed Second Vice President (VP) Will Micklin to chair the Constitutional Committee which has been tasked with reviewing the Tribe’s governing documents and proposing amendments to the Tribal Assembly — Central Council’s Constitution was last amended in 2014. 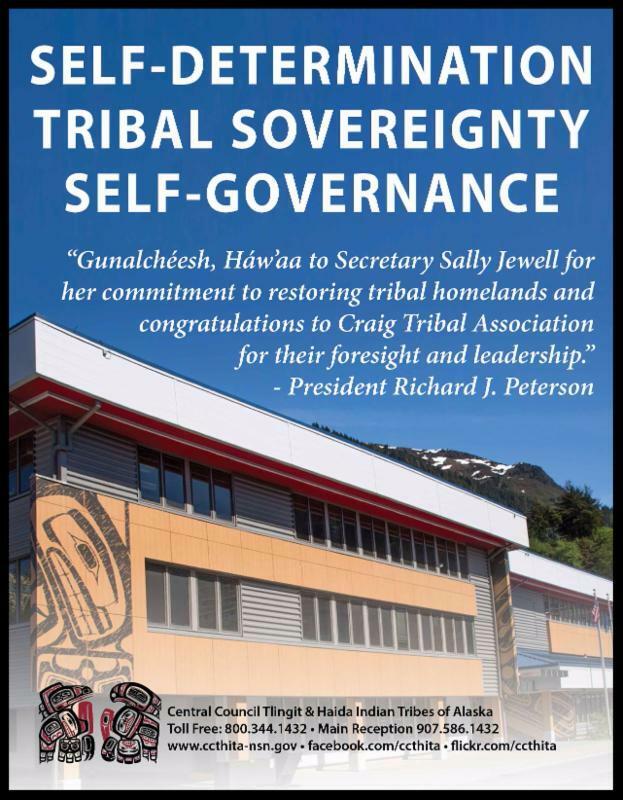 "The committee will develop recommendations for the upcoming Tribal Assembly intended to meaningfully improve tribal governance and efficiency in assembly procedures," said VP Micklin. Adoption of proposed amendments to the Constitution must be approved by an affirmative vote of two-thirds of the Delegates present at Tribal Assembly, unless the amendments are provided in written form to the Delegates 90 days before the assembly convenes. The Department of Interior (DOI) announced on January 13, 2017 that it has approved Craig Tribal Association’s (CTA) land-into-trust application to place a 1.08-acre land parcel into federal Indian trust status. This is the first application from Alaska to be approved by DOI since it issued a final revised rule in 2014 expelling the misguided “Alaska exception” that had unfairly excluded Alaska tribes from the fee-to-trust process. Under federal Indian trust status, CTA’s land parcel, cannot be sold, alienated, or transferred without federal approval. CTA’s parcel is home to its tribal government offices, a town hall, and commercially leased office space. Central Council has submitted fee-to-trust and reservation proclamation applications for property it holds in fee or federally restricted status. All parcels are located within the historical and cultural area long known as the “Juneau Indian Village”. Central Council’s parcels are home to the Andrew Hope Building and its surrounding parking lots. Central Council is kicking off the 2017 Year of Kindness challenge with a donation to the Healing Hand Foundation (HHF)! 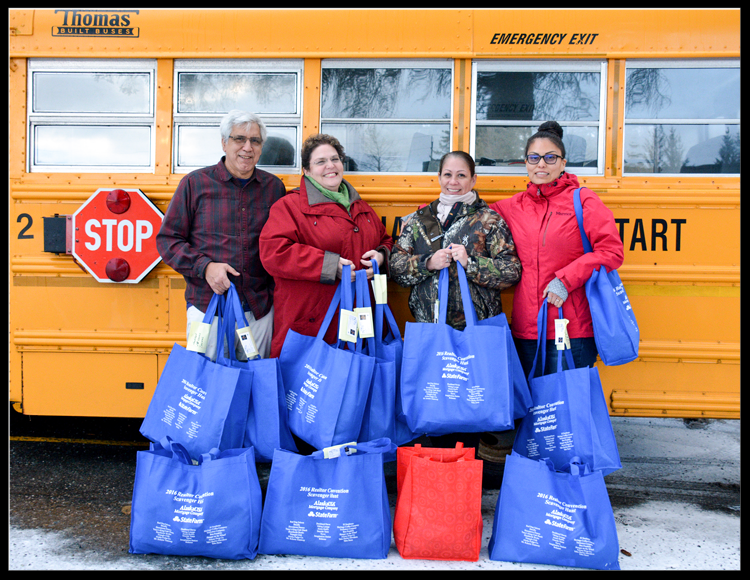 The non-profit organization was established in 2001 and works in conjunction with SouthEast Alaska Regional Health Consortium (SEARHC) to help meet the unfunded medical and healthcare related needs of Alaska Natives and veterans. Central Council President Richard Peterson presented a check in the amount of $5,000 today to HHF President Joe Kahklen, HHF Board Member Corrine Garza, and SEARHC CEO Charles Clement. 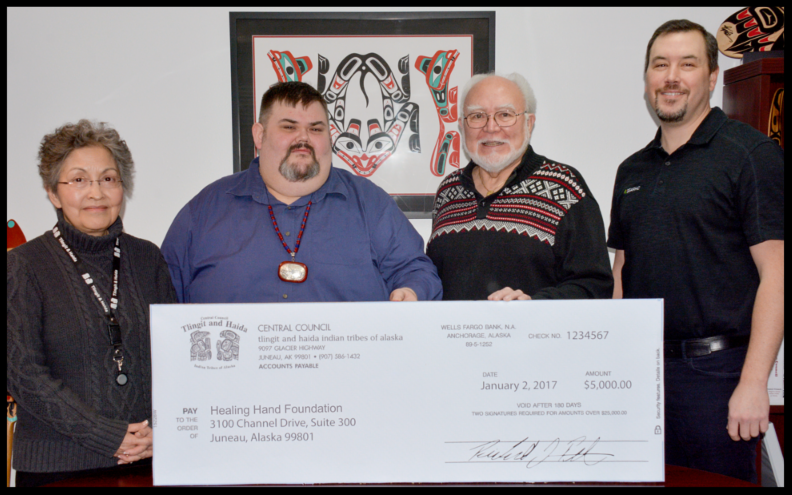 Central Council's donation not only supports the mission of the Healing Hand Foundation, it will also be matched by the Sealaska/Soboleff Matching Legacy fund. Central Council’s employees also continue to support the effort of the Healing Hand Foundation and contributed approximately $5,300 to the organization through payroll deductions in 2016. Central Council would like to extend a heartfelt Gunalchéesh, Háw’aa to Karen Wright with Southeast Alaska Real Estate for holding a Glove Drive this year and donating 260 gloves to Tlingit & Haida Head Start. Her generous donation will keep our little ones' hands warm through the winter while they play outside! This is Karen's third year of collecting children's gloves which are donated each year to elementary and Head Start classes throughout Southeast Alaska. 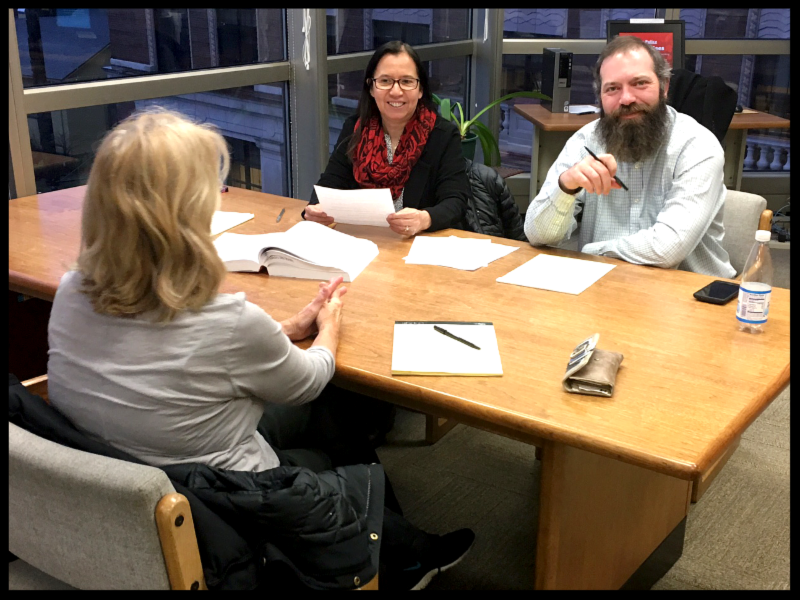 Tribal Child Support Unit (TCSU) Manager Jessie Archibald and Attorney Justin Facey recently volunteered their time to participate in the Martin Luther King Day Free Legal Clinic. Justin, who is a new member of the Alaska Bar Association, and Jessie Archibald, who holds licenses to practice law in both Alaska and Washington, joined over 20 other volunteer attorneys in Juneau to provide free legal assistance and answer questions regarding Medicare, Medicaid, estate planning & probate, child custody, support, divorce, dissolution, rental properties, and social security. The free legal clinic is a statewide public service project of the Alaska Bar Association, Alaska Legal Services Corporation, Alaska Public Media, and the Juneau Bar Association and is held each year on Martin Luther King Day. This year’s clinics in Juneau were held at the Alaska Legal Services office in the Jordan Creek Mall and at the Juneau Courthouse, and helped dozens of clients with a wide range of legal issues. Gunalchéesh, Háw’aa to Jessie and Justin for volunteering your time and giving back to our community! Other local Juneau volunteer attorneys include Paul Grant, Dawn Collinsworth, Nick Polasky, Lael Harrison, Susan Cox, Bruce Weyhrauch, Andy Miller, Chris Peloso, Tom Wagner, Fred Triem, Chrystal Sommers Brand, Doug Mertz, Erin Whalen, John Fechter, Bride Seifert, Bud Carpeneti, Annie Carpeneti, Janine Reep, Kathleen Strasbaugh, Liz Smith, Eric Vang, and Mari Carpeneti. 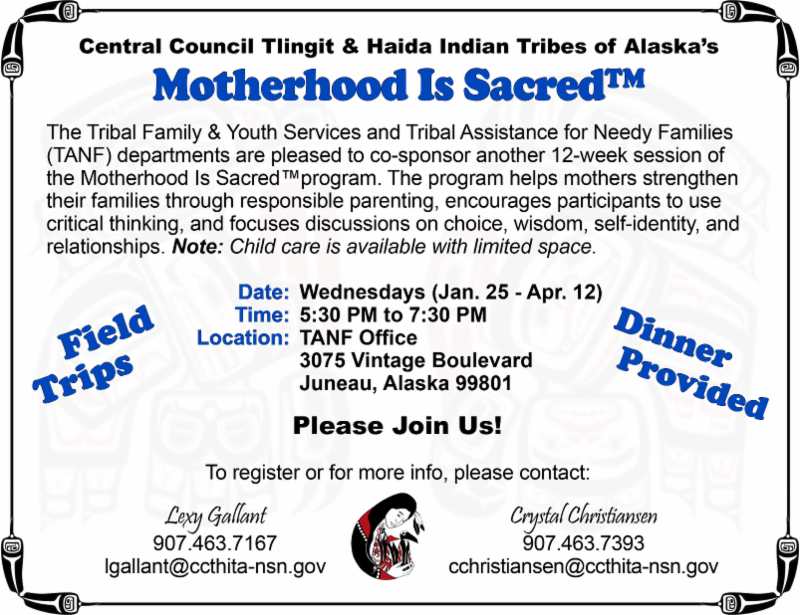 The Tribal Family & Youth Services and Tribal Assistance for Needy Families (TANF) departments are pleased to co-sponsor another 12-week session of the Motherhood Is Sacred™ program, which focuses on helping mothers strengthen their families through responsible parenting. Topics that will be explored include choice, wisdom, self-identity, and relationships. For more information or to register, please contact Lexy Gallant at 907.463.7167 / lgallant@ccthita-nsn.gov or Crystal Christiansen at 907.463.7393 / cchristiansen@ccthita-nsn.gov. 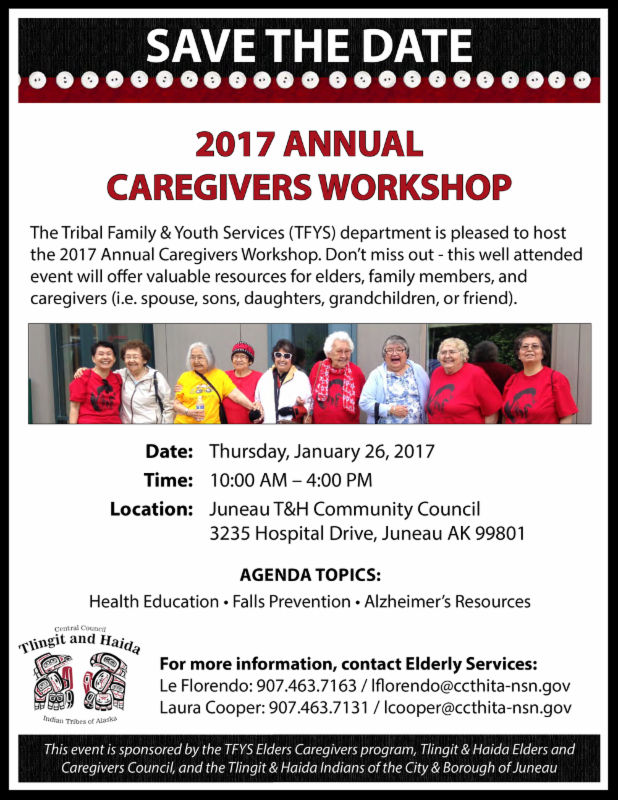 The Tribal Family & Youth Services department is pleased to host the 2017 Annual Caregivers Workshop on January 26, 2017. Don’t miss out - this well attended event will offer valuable resources for elders, family members, and caregivers (i.e. spouse, sons, daughters, grandchildren, or friend). 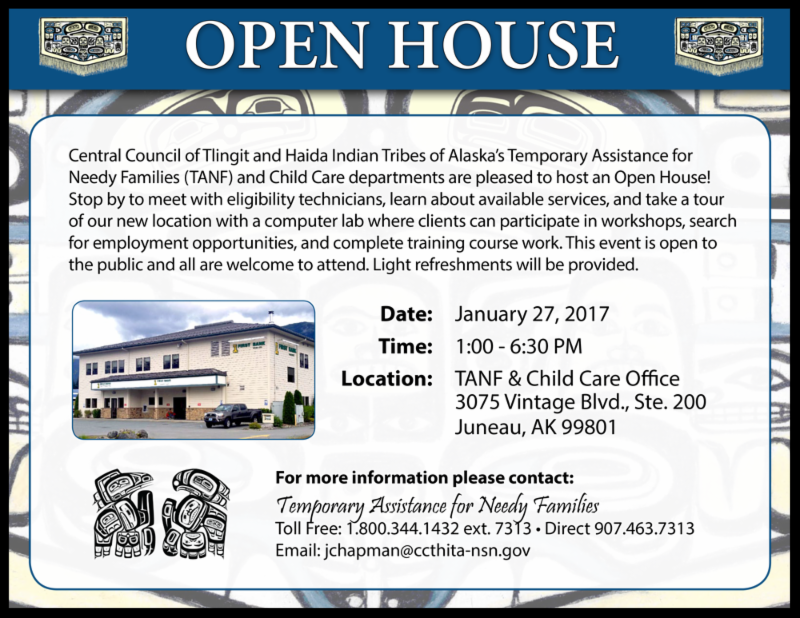 Mark your calendars and join Central Council’s Temporary Assistance for Needy Families (TANF) and Child Care departments for an Open House on January 27th! Stop by to meet with eligibility technicians, learn about services, and take a tour of their new office location with a computer lab where clients can participate in workshops, search for employment opportunities, and complete training course work. 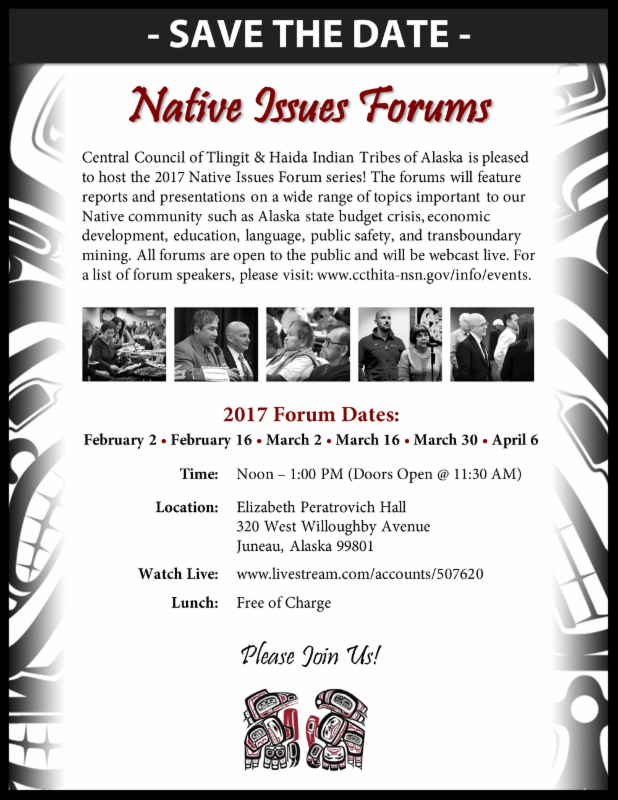 Central Council is pleased to host the 2017 Native Issues Forum series! The forums will feature reports and presentations on a wide range of topics important to our Native community such as state budget crisis, economic development, education, language, public safety, and transboundary mining. All forums are open to the public and will be webcast live. For a list of forum speakers, please visit our Events page.